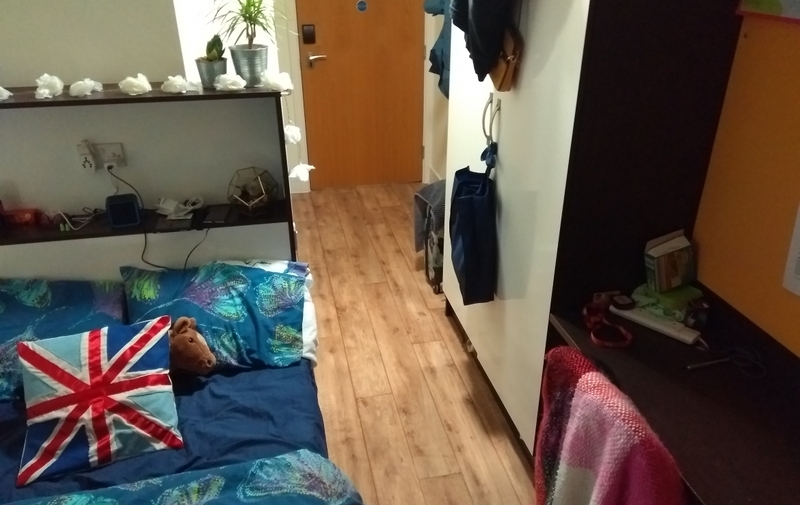 A very affordable top floor, double room (with en-suite) at Collegelands. I am flexible with moving dates – I can move ASAP. Contract is until end of August 2019. 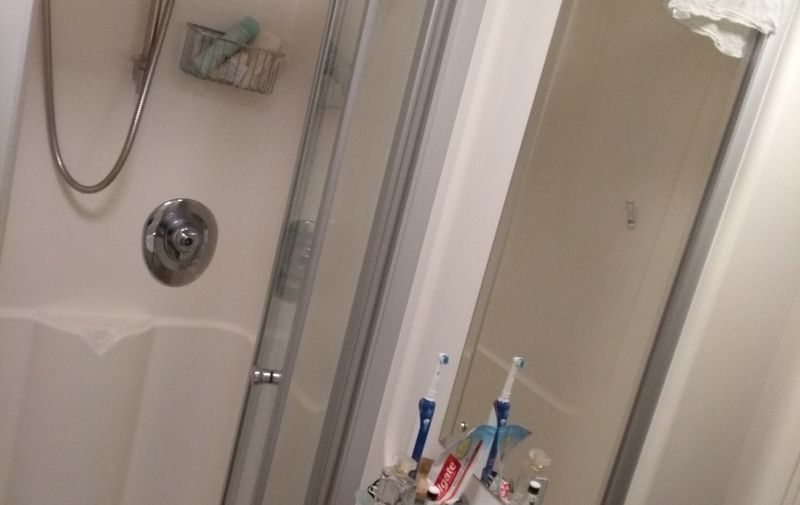 This accommodation is the cheapest student accommodation in Glasgow city centre! 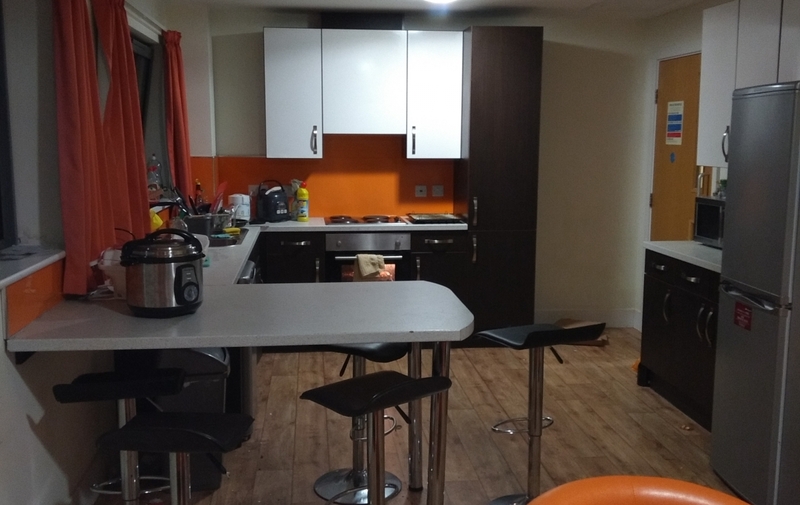 The rent is 110pw (all bills – Wifi, electricity etc. included). This works out at 440pcm but payments are paid monthly in 5 week blocks i.e. you pay 550 a month and finish paying rent in May (you DO NOT pay rent from June-August). Small double bedroom with ample storage – under the bed, large double wardrobe, shelves above bed, shelves at side of desk and drawers next to desk. The room is closest to the kitchen and is top floor (great views!). It is a warm and cozy room with a powerful heater. There is a long desk for studying, desk chair and a large pin board. 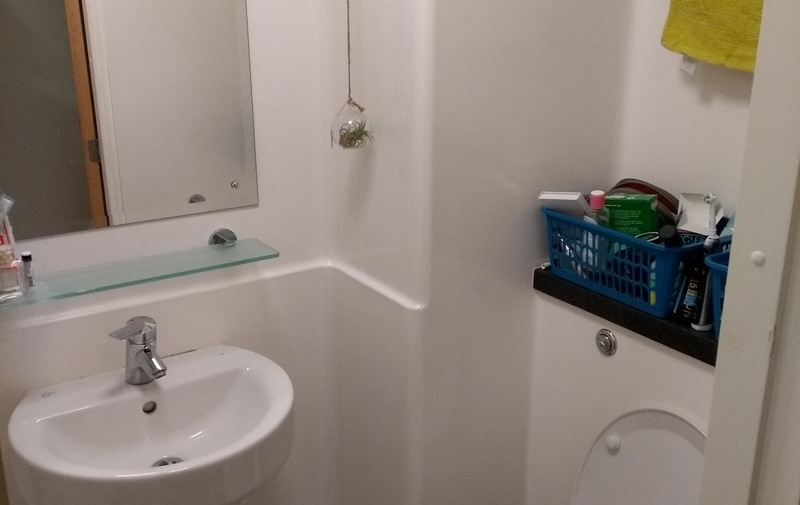 En-suite is small but has shelving above the sink and behind the toilet. The shower is hot and good water pressure. There are 4 other students (3 internationals and one Scot) in the flat. Two are master’s students, one final year undergraduate and the other first year Higher National Diploma. They are rather quiet but friendly. There is a large shared kitchen. It has two fridge-freezers, one large and one small. A cooker and hob, and a microwave. Ample storage and cupboard space, breakfast bar and seating area at the end of the kitchen. The flat is top floor (8th) with access via an elevator and is block C (furthest from reception). 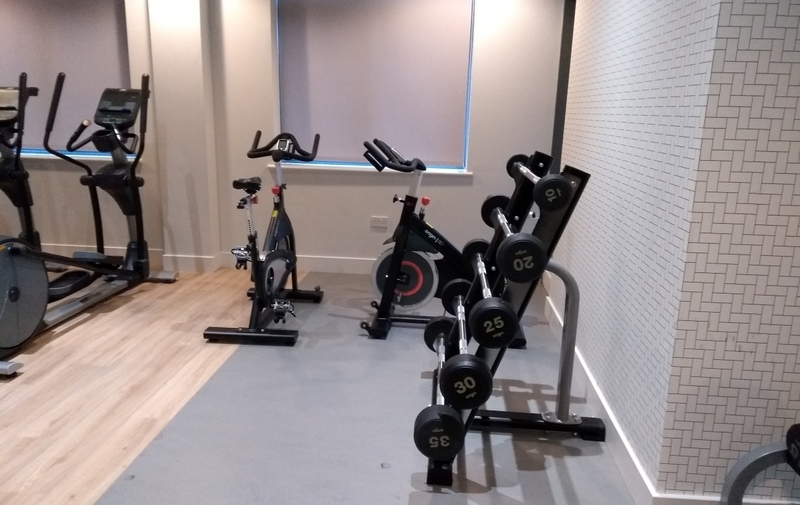 The building is a 10 minute walk from University of Strathclyde, 2 minutes from High Street Train station, 20 minutes from Buchanan Bus Station and a 10-15 minute walk into the centre of Glasgow. The Glasgow Cathedral, Necropolis and Glasgow Green are all within a 15 minute radius too. Plenty of public transport links around. Shops: there are several shops nearby, Aldi being the closest at a 5 minute walk. There is Lidl 10 minutes away and a large supermarket (Morrisons) about 8 minutes away. The building has 4 common rooms: 1 is the largest with plenty of seating and a pool table that regularly hosts social events. Common room 2 is a sofa/TV room (very comfy!). 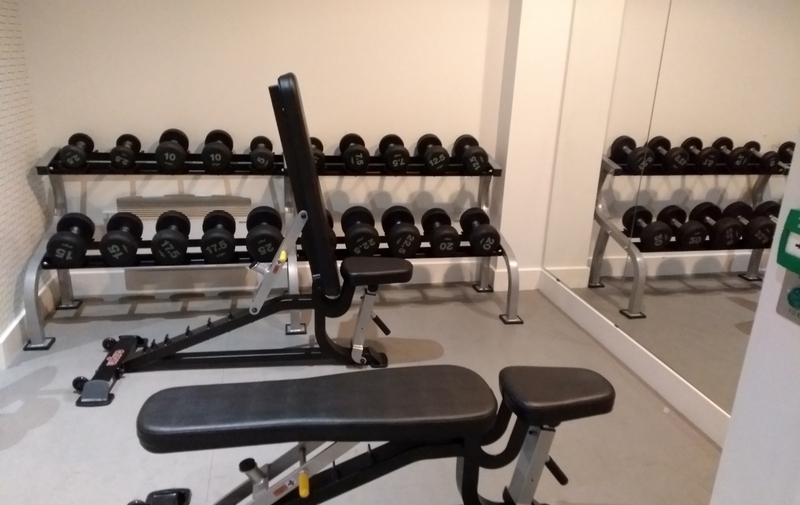 Common room 3 is a study room and number 4 is a gym. 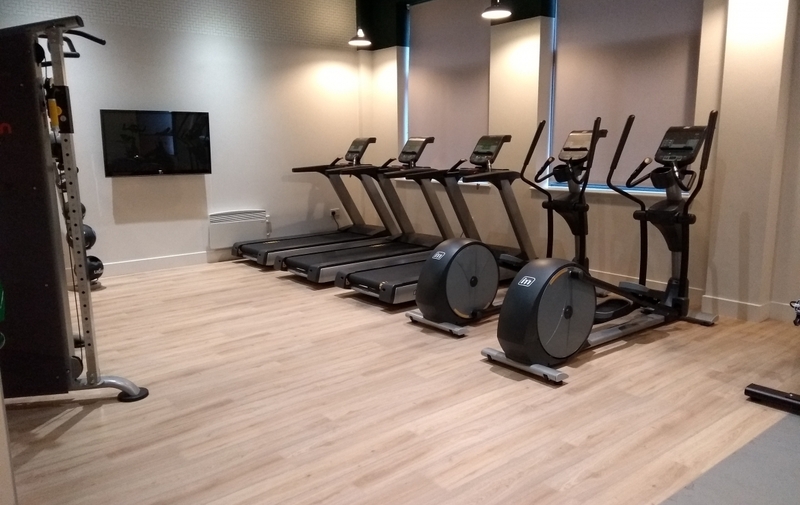 All the common rooms are brand new (October 2018) and are all clean and tidy. There is on site laundry with Circuit laundry with pre-paid cards. The reception staff are responsive and there is 24/7 security line too.